New Delhi, 2nd August, 2017. 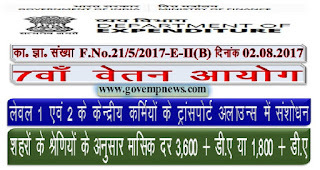 Subject:- Implementation of the recommendations of the 7th Central Pay Commission relating to grant of Transport Allowance to Central Government employees. In partial modification of this Department's OM. 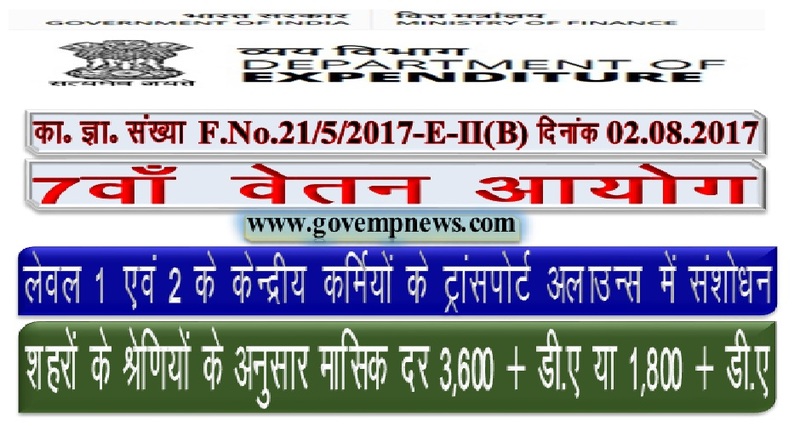 of even number dated 07.07.2017 regarding implementation of the recommendations of the Seventh Central Pay Commission relating to grant of Transport Allowance to Central Government employees, the President is pleased to decide that Central Government employees who are drawing pay of Rs.24200/- & above in Pay Level 1 & 2 of the Pay Matrix, shall be eligible for grant of Transport Allowance @ Rs.3600/- plus D.A. thereon at the cities mentioned in the Annexure to the above cited OM. and @ Rs.1800/- plus D.A. thereon at all Other Places. 2. All other contents of the above cited OM. dated 07.07.2017 shall remain unchanged. 4. 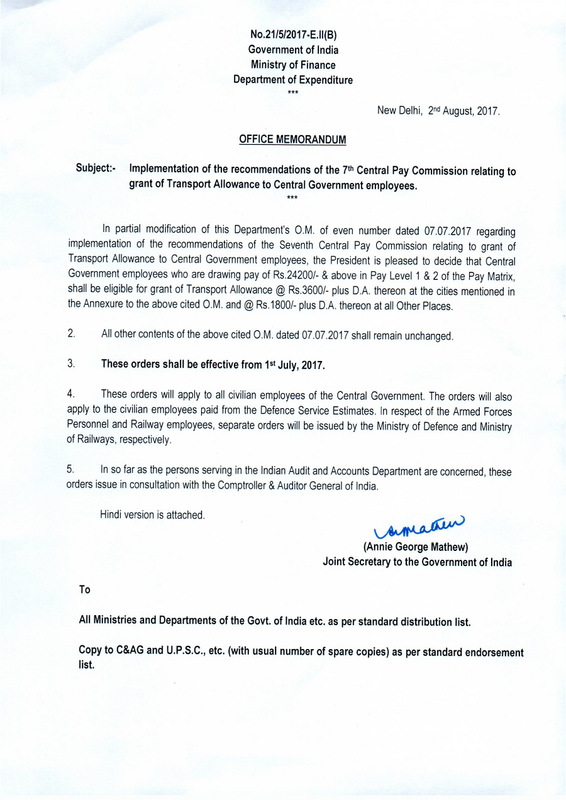 These orders will apply to all civilian employees of the Central Government. 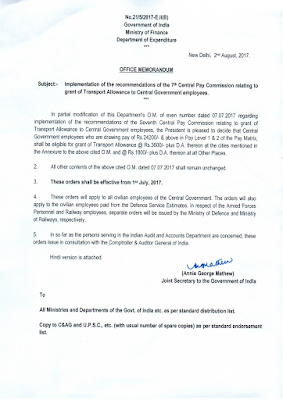 The orders will also apply to the civilian employees paid from the Defence Service Estimates. In respect of the Armed Forces Personnel and Railway employees, separate orders will be issued by the Ministry of Defence and Ministry of Railways, respectively.